Aamir Khan's Secret Superstar is off to a great start in China. The film, starring Zaira Wasim in lead role, pocketed Rs 174 crore in the opening weekend beating Aamir's Dangal's opening weekend record in China from May last year. Trade analyst Taran Adarsh tweeted: "Secret Superstar packs a solid punch in its opening weekend in China. Close to Rs 175 crore in three days." 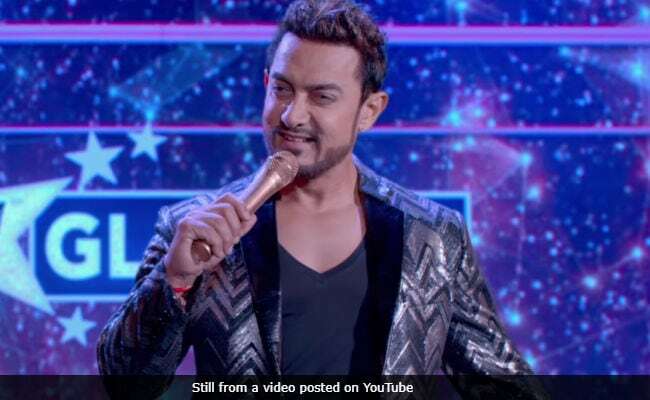 The opening weekend collection of Secret Superstar in India was merely Rs 30 crore. For Secret Superstar, which was made on a budget of Rs 15 crore, this is as Taran Adarsh puts it: "Mind-boggling indeed." Before Secret Superstar it was Aamir Khan's Dangal, which took the China box office by storm. Dangal became the highest grossing Indian film in China within weeks of its release in May 2017. The success story of Dangal in China is unparalleled and now, a Variety magazine report states that Secret Superstar is "poised to top China box office." Aamir Khan is also scheduled to visit China in the upcoming days. Secret Superstar is the story of Insia Malik (Zaira Wasim), who breaks regressive societal shackles to become a successful singer against all odds. The film is directed by Advait Chandan and it also stars Meher Vij in a pivotal role. Secret Superstar has a month before Salman Khan aims for the China box office with his 2015 hit film Bajrangi Bhaijaan. The Kabir Khan-directed film will open across 8,000 screens on March 2 in China.